California is quite unique. The California Unified Certification Program (CUCP) provides certification services to small, minority and women businesses that seek to participate in the U. S. Department of Transportation (USDOT) Disadvantaged Business Enterprise (DBE) Program; which for California’s highway systems is a spend that exceeds $5 Billion annually. This certificate also certifies businesses as Airport Concessionaire Disadvantaged Business Enterprise (ACDBE). California has two organizations that certify businesses as Minority Business Enterprises (MBE). Companies in Southern California (from Southern border North to Fresno and East to Arizona [exempting San Diego]) are certified by the Southern California Minority Supplier Development Council with the rest of the State certified by the Western Regional Minority Supplier Development Council. MBE certification is essentially a marketing tool that helps to promote both private and public sectors businesses. Most Fortune 500 corporations have added supplier diversity as a core business strategy. 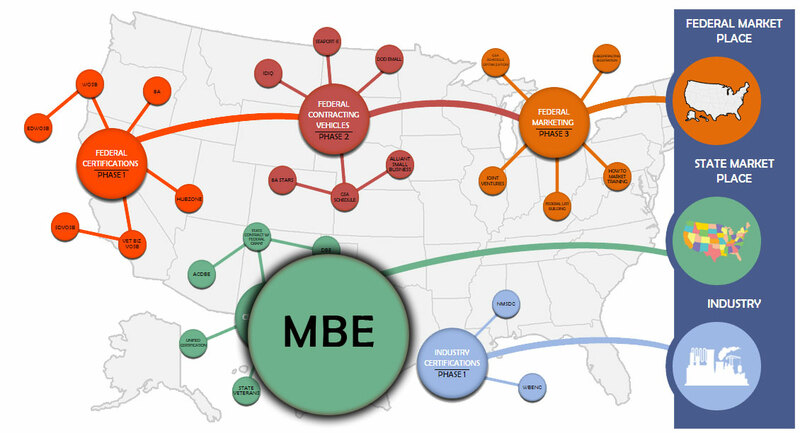 MBE certification is the typical manner used to validate minority business status and receive credit towards targeted supplier diversity goals. Business located in the U. S or its territories. The MBE must be at least 51 percent owned by minority (African Americans, Asian American, Asian Pacific Islander, Latino, Native Americans, and Native Hawaiian), veteran and/or women owned business. Established as a for profit business.